Leonard Bernstein, upon hearing Mr. Ferrandis’ performance of the Adagio from Mozart’s D major concerto, was so impressed that he remarked, “It is Pan himself!” and subsequently composed a cadenza for Mr. Ferrandis, which he continues to present when performing the concerto in concert with orchestras today. Mr. Ferrandis has appeared as a soloist with numerous orchestras in such prestigious concert halls as the Salle Pleyel and Théâtre des Champs Elysées in Paris, Alice Tully Hall in New York, the Taipei Arts Center, Wigmore Hall in London, La Fenicein Venice, Hamarikyu Hall in Tokyo, the Vigado in Budapest, the Palau de las Musica Catalana in Barcelona, and the Moscow Tchaikovsky Conservatory. Notable conductors have included Leonard Bernstein, Tibor Varga, Laurent Petigirard and Yoram David. Mr. Ferrandis collaborates with noted pianist Ning An for solo concerts that take place in the United States and Canada. Mr. Ferrandis has been a frequent guest at numerous international music festivals, performing at the Lanaudière in Canada, Switzerland’s Sion Festival, the Budapest Spring Festival, the Midem Festival in Cannes, and the Berlioz Festival in Lyon. In the role of conductor, Mr. Ferrandis continues his association with the Saint Petersburg Camerata in Russia and the Saint Christoper Chamber Orchestra in Vilnius (Lithuania), with whom he has also recorded the flute concertos of C. P. E. Bach. Mr. Ferrandis was the unanimous recipient of a First Prize from the Lyon Conservatoire, where he studied with Maxine Larrieu. He has been a prizewinner at such esteemed international competitions as Munich, Maria Canals in Barcelona, and the Young Concert Artists in New York. 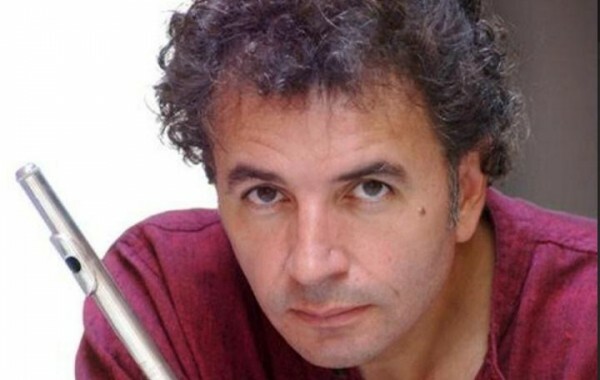 In 1986, he was awarded the Grand Prize at the Prague Spring Festival International Flute Competition. Sciences Building parking lot. Or go past New Britain Rd. and turn left at the College entrance. Going north or south on Route 611, take the bypass at Doylestown to the State Street exit, which is State Street and East Butler Avenue (old Route 202). Follow signs to the College. The entrance is at the second light on Butler Ave. Turn left on Student Center Drive and park in the lot behind the Student Center next to the Life Sciences Building side entrance. Free Parking: The parking lots adjacent to the Life Sciences Building will be available for concert parking. In order to accommodate overflow, concert goers can use the University’s Main Entrance and park in the stadium parking lot, where a Bucks County Transport shuttle bus will be available from 7:00-8:30pm to take you to the Life Sciences Building (where the concert is being held) and return you to your vehicles after the concert. Special Parking for seniors or for those needing assistance is located behind the Student Center at the side entrance to the Life Sciences Building.